Completely renovated April 2018! All new tile flooring, Living Room/Dining room furniture, King bed, twin bunks & sofa sleeper, all new mattresses and art work! Full size washer/dryer. Offers free beach service March - October. 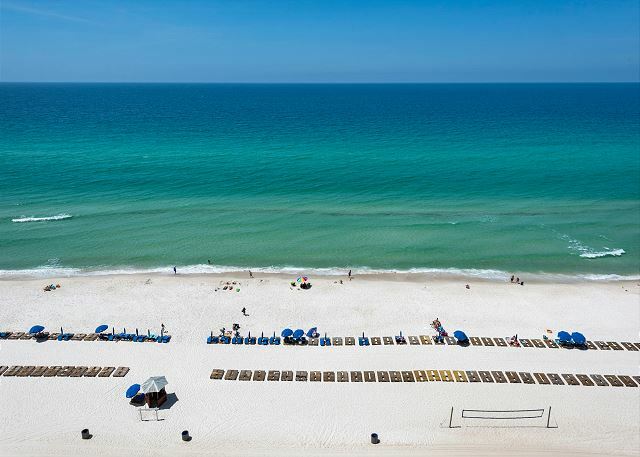 Our fabulous ocean front condo with a breathtaking view of the emerald waters of Panama City Beach has a spacious balcony, accessible from the living room and master bedroom to accommodate all types of entertaining. This unit has 2 full baths, comfortably sleeps 6, and has a fully equipped kitchen. It is exquisitely furnished and decorated with easygoing sophistication. Aqua boasts inviting common areas with Aqua streams, refreshing indoor/outdoor pools, and a workout/sauna facility. We enjoyed our stay. Very satisfied with everything. Only things I would change would be a new mop (the old one was very difficult to use) and need an extension cord for the vacuum (the cord was very short, so difficult to use). Love the lay out of the unit and decorated nicely. An area rug in the main room would make it cozier. Beautiful, peaceful condo! Loved the colors amd decor! The bed was comfortable and included everything needed for a relaxing trip! We enjoyed our stay at the Aqua Resort! It was a first class experience from the check in to check out! Heather at the front desk was awesome & friendly! She helped us with all of our questions. The Resort was clean & had beautiful views! It was truly a great stay! We plan on going back next year! Condo 1108 was beyond our expectations. Very clean, well maintained and comfortable. Loved the view of the ocean. The balcony was perfect for early morning and late night sittings. Would definitely stay here again. Perfect location on Front Beach Rd near Pier Park and all attractions. Absolutely beautiful place with wonderful views of the beach. The beach chairs and umbrella set up was such a convenience and the guys couldn't be more helpful. Very importantly, the bed was super comfy! Pier Park was a 5-10 minute walk and several other restaurants were well within walking distance. Comfortable. Unfortunately, half of the Gulf view was blocked out by the extremely large TV cabinet and overpowered the bedroom. We spend a lot of time in the condo and enjoy the Gulf view. The pots and pans were of a material that was scratching the stove top surface so we had to be very careful. The bed was extremely comfortable. We missed having full access to the view. The balcony furniture was A++ and super comfortable. Also loved the outdoor carpeting. Was very clean. We cooked our meals. The very tall furniture cabinets overpowered the rooms. 7 days on the beach. Relaxing. Absolutely beautiful condo inside and out. Very clean and very nice management! Will definitely stay here again! We enjoyed having an "at home" feeling while on vacation. 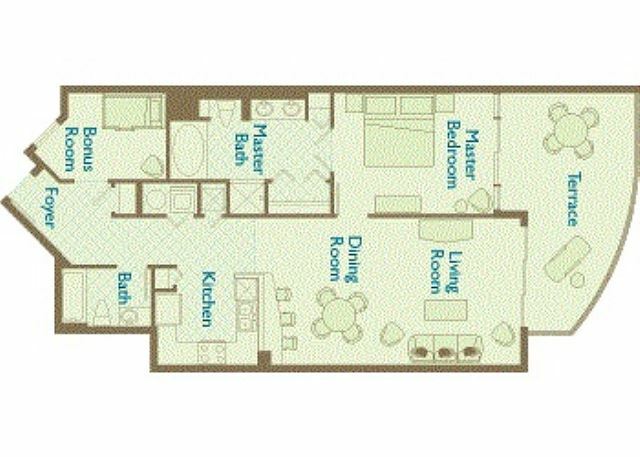 Our condo was clean and had space for our entire family. We had a wonderful view from our balcony.